Ed's dad lining up the shot he'll be hitting due north, toward the Santa Catalina Mountains. Ed took this picture of his dad on the 18th hole of the Canyon Course at Loews Ventana Canyon Resort. 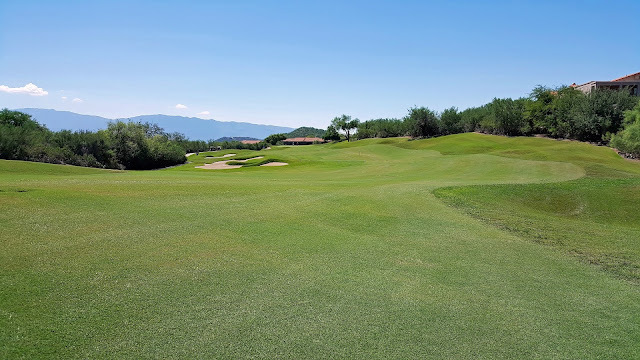 "Located just steps from the front lobby, Loews Ventana Canyon, in conjunction with the Ventana Golf & Racquet Club, offers two Tom Fazio-designed championship 18-hole golf courses. Both courses are designed to blend into the Santa Catalina Mountains’ natural features. Weaving through desert cacti and scenic canyons, the courses embody the character of the Sonoran Desert landscape, as well as a unique variety of desert fauna. 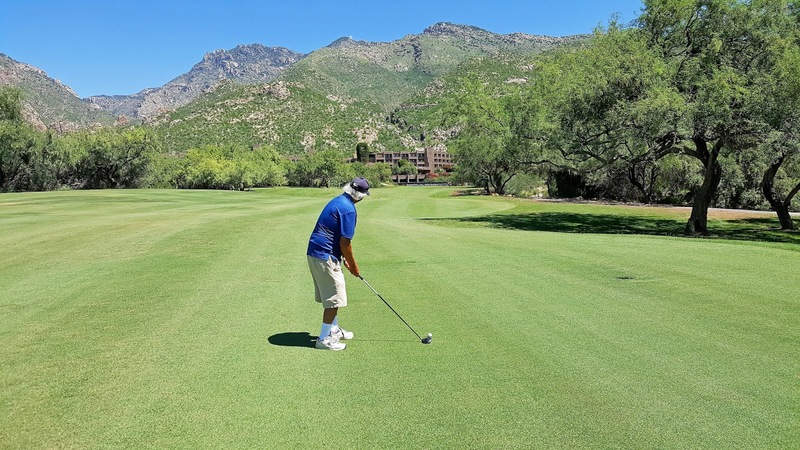 The Canyon Course winds through the inspiring beauty of the Esperero Canyon and incorporates the massive rock formation known as Whaleback Rock." Ed said it was one of the most beautiful courses they've played here in Tucson. The very best options site that come with these shoes range from the fact they are constructed with the best leather. These types of brought in footwear have artificial bottoms. They are made of a brand new generation of Adidas material and building, created by using biomechanical and scientific research along with proper screening. They have what is called the midsole cushioning element, which makes it much easier to walk upon for very long periods of time.